There are a lot of international tests for English. Which one you need to take depends on the goal. But one way or another to pass this test will have every foreigner who wants to study or work abroad. As for the United States, everything is straightforward here. The special organization Educational Testing Services (ETS) has developed an international TOEFL exam (Test of English as a Foreign Language). This test is considered universal, as its results are recognized in the US, Canada and some other countries and, unlike the British examinations, are accepted in all American educational institutions. TOEFL is a compulsory requirement for study or work in the North American continent. Pass this exam is a must have for applicants entering the universities of the United States and Canada, previously trained in another language and whose native language is not English. Many English international internships, scholarships and other educational programs (for example, MBA) around the world can also require applicants to pass this test. The results of the TOEFL, in this case, will guarantee that the student can study in English. Nuances. The first thing to consider when going to take TOEFL is that the test is aimed at testing the American English language. In this case, it is not enough just to know the language; it is important to understand the lexical and phraseological subtleties and differences of American English and to be able to distinguish accents. The main focus in testing is paid to checking the reading, writing and understanding skills and much less – oral speech. In many ways, because of this, the test is considered less difficult of all. TOEFL can not be “filled up”, you can only score insufficient points. It is important to bear in mind that the results of the exam are valid only two years. With the British exams, things are more complicated. First, there are several organizations and certification commissions involved in the development of tests. The largest and most authoritative is the subdivision of the University of Cambridge UCLES (University of Cambridge Local Examination Syndicate). It was within its walls that the famous Cambridge exams were born to test the knowledge of English. Secondly, unlike the US, UK universities can decide for themselves which certificate to require from the entrant. Third, British exams, including Cambridge exams, are a consistent chain of levels (the Intermediate, Advanced and so on). So, what are the Cambridge examinations and for whom are they designed? The main examinations are five, each of which is aimed at checking one of the levels of language proficiency, from the very beginning to the higher. The first two steps are the KET (Key English Test) and PET (Preliminary English Test) exams. Both tests test the basic knowledge of the language at the level of Elementary and Intermediate, respectively. These certificates are not listed anywhere and can not act as a necessary document for admission to educational institutions, for a job or registration of the resident status in an English-speaking country. A higher level of language proficiency is confirmed by the certificate of FCA (First Certificate in English). The test is suitable for those who can understand and express themselves in English in everyday life without assistance (Upper-Intermediate). FCA will be sufficient for admission to colleges for technical specialties, as well as for jobs that do not require special training, for example, in tourism, commerce or administrative positions. Those who have crossed the Upper-Intermediate level in their English knowledge for a long time can check themselves by passing the CAE (Certificate in Advanced English) or CPE (Certificate of Proficiency in English). The first is designed for people who speak English at a high level. Holders of the corresponding certificate can count not only on admission to the majority of British universities but also on good work in large companies (for example, Ernst & Young). And the second is the most difficult of exams, confirming the almost professional knowledge of the language. CPE is accepted for admission to all UK universities in any specialty, including medicine and law. It is also accepted by commercial organizations and government agencies. Holders of this certificate can engage in science and qualify for leadership positions in many companies. Nuances. Each of the three major Cambridge exams along with reading, listening and writing tests oral speech and the ability to use the language. Therefore, it is believed that these exams test deeper knowledge of English than American tests. Also, assignments do not involve choosing the answer from the proposed options. When passing the test, all the skills of practical application of language in modern life are involved. One of the advantages of Cambridge certificates is that they operate indefinitely. More and more popularity is gained by one more Cambridge exam – IELTS (International English Language Testing System). This test is especially important for those who are going to move to Australia or New Zealand, be it study, work or emigration. Initially designed to test the linguistic knowledge of foreigners wishing to study and work in the UK and the Commonwealth countries, IELTS gradually becomes a full-fledged analogue of TOEFL, and in some cases surpasses it. For example, in the structure of the exam is included part of the test of oral speech, which allows a more qualitative assessment of the level of language proficiency. Also, the exam includes an assignment for analysis and description of graphs and diagrams, which also makes this test more complicated than the American version. IELTS certificates come in two levels: General Module and Academic Module. The first one is enough to contact the emigration authorities of Australia and New Zealand, as well as to work in these countries if the activity does not require specialized training and a high level of language proficiency. Academic Module must be submitted for admission to any educational institution of these countries. Increasing popularity and relevance of IELTS opens doors for holders of this diploma to other countries. 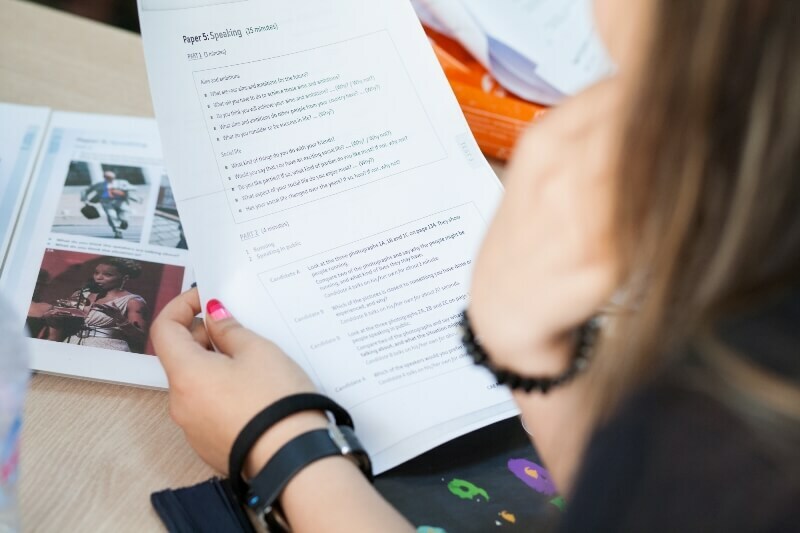 For example, a document on the passing of a test with a high score is taken by some universities in Canada, Great Britain, some European universities and business schools, where instruction is conducted in English. American educational institutions have also increasingly begun to give preference to this certificate. In many American colleges, IELTS results are accepted on a par with TOEFL. Nuances. This test, even for the General Module, can be taken if the knowledge of English reaches the level of Upper-Intermediate. As in the case of the American test, the results of this exam are valid for two years.